In the post today I was excited to receive a copy of a book my friend has written, we trained together in Durham and knowing how funny and bright she is I knew it would be a good read. Was it a good read because I knew her? Was it a good read because of the subject matter? Or that it was laid out in small readable chunks in a good font and size… Being dyslexic that does make a difference to how well I engage when reading anything, and it was quick to read and easy to get into. I would say it was a combination of all those factors. 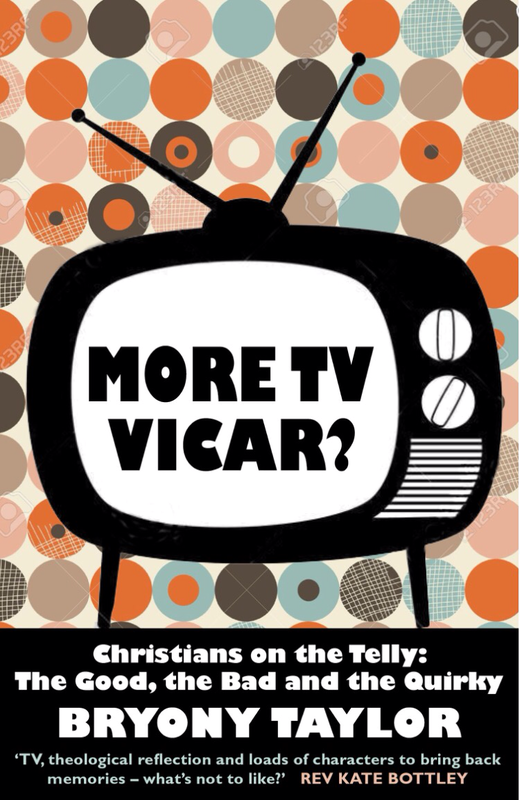 It was great being reminded of all the programmes I have loved watching time and again, The Vicar of Dibley, Father Ted and Rev. to name a few. Humour is a very important aspect of anyone’s life and being able to see the funny side in life, faith and who we are is vital to keeping us healthy. Laughing always makes you feel better but there is some humour which can upset us, as Byrony rightly points out it shows we have a moral compass and that we do care about what we think and believe. It is a great book, particularly if like me you have loved growing up watching these iconic programmes which you never tire of watching. If you’ve not got a copy, go get one and get reading. Loved it! This entry was posted in Book Reviews and tagged Bryony Taylor, faith, great read, humour, minister, More TV Vicar, representation, vicar. Bookmark the permalink. Thanks Jo, glad you enjoyed it!